Related links to "Whitehorse - Fire To Light The Way/Everything Ablaze LP"
This was originally released on Conspiracy Records in 2007, but back then it wasn' released as it was supposed to be ( back then it was released as a one sided 12" with one track missing, that's 22 minutes of music... ) and the other ones were cutted off... ), so here you get the LP as it was ment to be be!!! This is heavy!!! Heavy is sound, heavy is doom, heavy is serene, heavy is space, heavy is motherfucking WHITEHORSE ! one of the most brutal doom bands around! 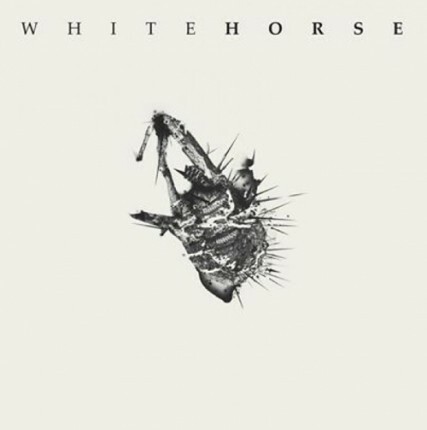 Drafting members from the punk, grindcore, experimental, rock, and noise scenes WHITEHORSE often garner comparisons to the likes of CORRUPTED, KHANATE and WINTER.